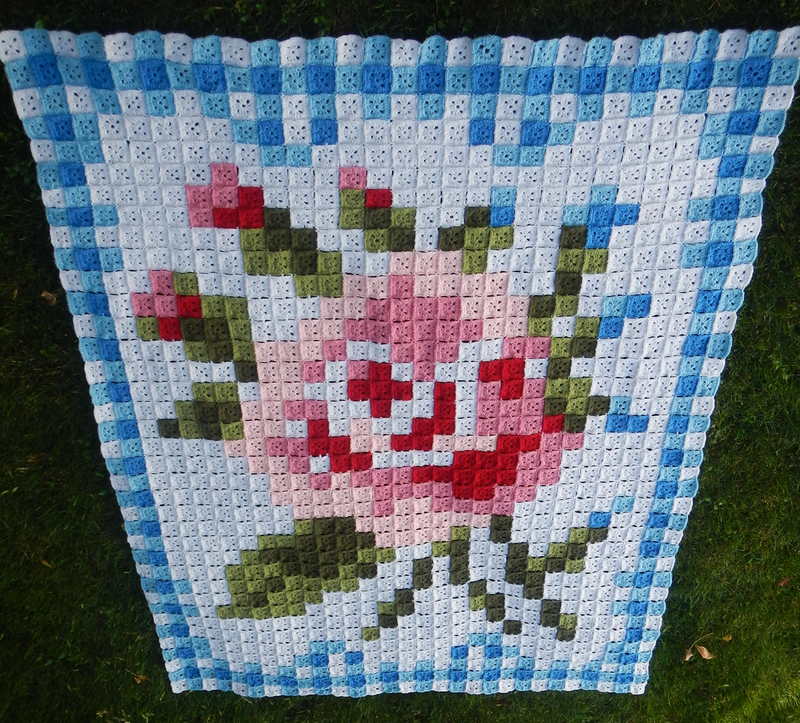 Apple Blossom Dreams: La Vie en Rose Afghan Finished and Pattern Listed! Would it be "The Rose" by the divine Bette Midler? Good try! Thank you for the comment! Absolutely beautiful - a labor of love for sure. Wow, it is amazing work. in the sprïng becomes the rose. YAY! finally! I am off to get this patterny. Thank you Astri for all your hard work. Thank you so much (yes, I saw your purchase go through!!!) and you are welcome! It's stunning, Astri. well done! Hooray!!! I just bought the pattern....LOVE it <3 Very Cath Kidston like. thank you for sharing!!! I would say: Edith Piaf " La vie en rose"
Wow, wow, wow! Or perhaps I should say "Oh là là!" It's a knockout, Astri. What a labour of love. It's looking very lovely!! :) it is quite a big project. Je pense a la chanson "la vie en rose " d'edith piaf chanteuse française. C'est une très belle couverture, j'adore ce que vous faites. What a magnificent piece of work! It is so lovely, I cannot take my eyes of it! Oh what a beautiful Astri! This is most beautiful crochet pattern i have ever seen.The thought these are the cloth pieces joined together to make rose but no its crochet. Its just stunning. Ce patchwork en crochet est ravissant, j'aime beaucoup les couleurs, je n'aurais pas pensé pouvoir faire ce genre de réussite uniquement avec un crochet !!!!! So since someone won the free one where can you buy the pattern? Please.